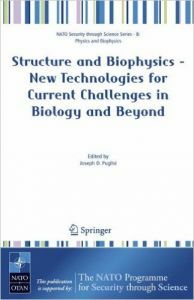 This volume is a collection of articles from the proceedings of the ISSBMR 7th Course: Structure and Biophysics - New Technologies for Current Challenges in Biology and Beyond. This NATO Advanced Institute (ASI) was held in Erice at the Ettore Majorana Foundation and Centre for Scientific Culture in June 2005. It presents state of the art information on NMR spectroscopy and its place in the broader field of biophysics.